Lock in a great price for Tortuguero Natural – rated 8.8 by recent guests! The staff, especially Bernie and Rafael, the manager were very friendly and helpful. The location to the beach was excellent. Loved the bright colors of the place. The hosts were fabulous and the property is gorgeous. We really enjoyed our stay in Tortuguero and the peace and quiet that this hotel provided. Brightly painted rooms and sitting areas were cheerful, and the rooms were very clean. Excellent staff who are very friendly and ready to help. This property didn't have an air conditioner but had 2 fans. Really helpful, friendly staff. Great location and very clean and well kept. Near the beach. Keep the place clean.. loved the hammocks..Nice walk from town albeit a little confusing at first. Close to the beach, town, and river. Feel the sea breeze and can hear the ocean. Jose and Jackie make this hotel a warm and wonderful haven. Tortugero is a modest town. This hotel is full of lovely touches - from the welcome glass of juice to the colorful and carefully arranged linens and bright hammocks, board games and fresh coffee. This is not a luxury resort but it is a warm and welcoming accommodation. The staff could not be nicer. They helped us plan our stay, hooked us up with a great tour guide, lent us boots for our trek in the park, and allowed us to use their fridge and safe. What lovely people! José, Jackie, and Angel are amazing. José was so welcoming as soon as I walked through their door. They gave me a fruit smoothie as a welcome. They even catered to some of my weird requests. Like removing the lock on my luggage I couldn't open and they even gave me a full reimbursement because I decided to stay one day less. They were super friendly and easy to talk to. Jessica and Francisco, the tour company they're connected with, were also amazing. 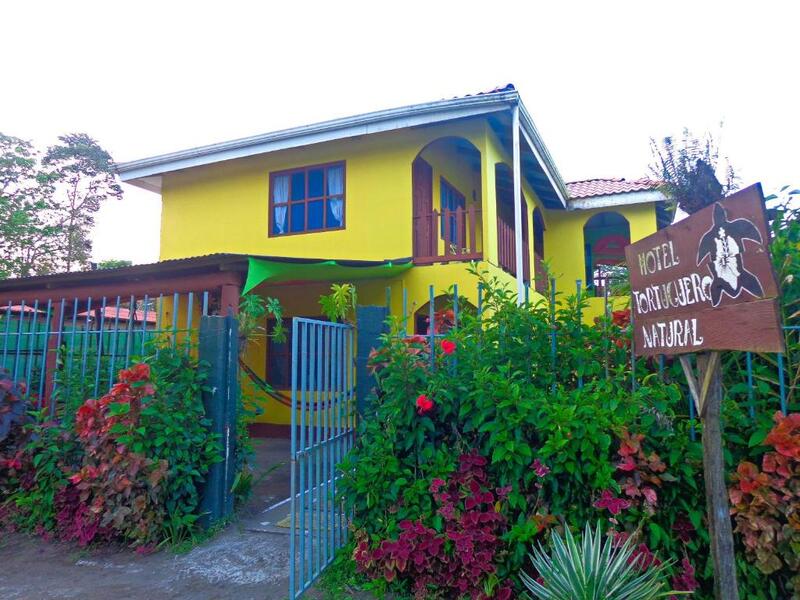 Tortuguero Natural This rating is a reflection of how the property compares to the industry standard when it comes to price, facilities and services available. It's based on a self-evaluation by the property. Use this rating to help choose your stay! Offering a restaurant, Tortuguero Natural is located 150 feet from Tortuguero Beach, a common site for turtle hatching. Free Wi-Fi access is available in all areas. There is also a dining table. Private bathrooms also come with towels. You can enjoy a garden view from all the rooms. Extras include linen and a fan. At Tortuguero Natural you will find a 24-hour front desk and a terrace. Other facilities offered include a ticket service, a tour desk and luggage storage. 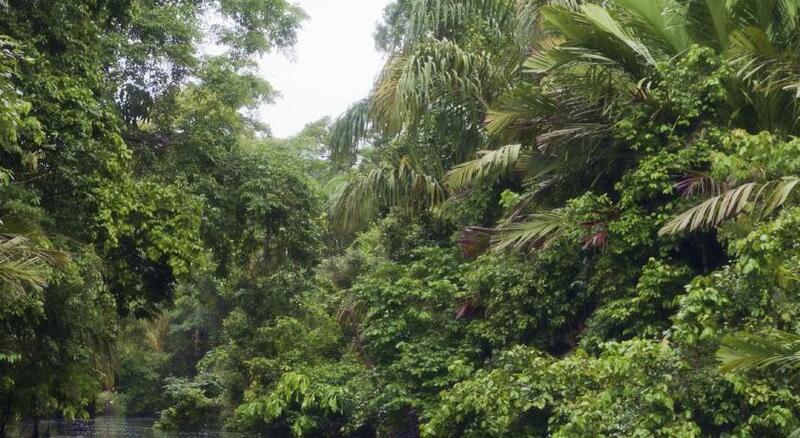 Tortuguero Natural is 1,000 feet away from Tortuguero Center and 1,300 feet from the National Park. When would you like to stay at Tortuguero Natural? House Rules Tortuguero Natural takes special requests – add in the next step! Tortuguero Natural accepts these cards and reserves the right to temporarily hold an amount prior to arrival. The property will contact the guest after booking to provide the full street address. Ideal location near the beach and the centre. Lovely large colourful clean room. Hot shower. Extremely helpful owner who advises on tours and transfers. Not being able to pay by card for accommodation and activities meant we had no cash while we were here and limited to the larger restaurants. This disadvantaged us..and the local people as we could not use that cash for souvenirs, street food etc. The only thing missing for me was a hairdryer. Great location - central to the Main Street but in a slightly quieter section close to the beach side. Hammocks for relaxing and nicely maintained garden. I was worried about not having air con but the ceiling fan did the trick. The bed was comfy so these combined meant two very good nights sleep. The water pressure was excellent in the shower. Room and overall property was clean and hosts very friendly. Breakfast offered (at a partner restaurant) is so-so. Very friendly staff! Good location. Welcome fruit juice offered. The hotel is great, with a nice location a few steps away from the beach, a spacious bedroom, the check in was very smooth and the staff very friendly. It is the only hotel of our two-week trip that offered us a juice at check-in, this was highly appreciated. All bedrooms either have two or three beds so they are also great for families with kids. The windows didn't have glass but only the mosquito net as it is customary in Costa Rica but we could barely hear the other guests. Just a tiny detail, the hotel doesn't offer breakfast but they partner with a restaurant in the centre, were the service is lovely too. I would recommend this hotel in a heartbeat! The only thing was not having a fridge . I think you could put things in theirs but it seemed an imposition to keep asking We did get ice when we wanted but would be nice to have a fridge . The journey to Tortuguero (not the hotel’s fault). Travellers need to know that the road from San Jose is being widened so expect delays due to road works. Also the river is very low so the boat ride is extra long (4 and a half hours in our case as they overloaded the boat with 40 people and luggage so it kept getting stuck in the mud). The fare is much higher than quoted because the boats are doing fewer journies. If you can afford it, take a private boat or a ‘collective’ boat as they are smaller and faster. Avoid the public boat! Being collected from the boat and shown to the hotel. The much needed welcome drink. Provision of water and coffee in the reception area. Hearing the sound of the sea. Easy walk to restaurants. We were more comfortable once we had been moved to room 5 as there were windows on two sides so more of a breeze and we had total privacy. Our tour of the canals. The relaxed vibe. Fabulous location, close to beach and really peaceful. Nice accommodation, but the owners speak no English. Very central for all the activities and restaurants. The staff were very attentive. Rooms and bedding were cleaned every day. Fresh coffee always available for free. Good breakfast in near by restaurant. Very close to main part of the village. Situated within minutes of the river, national park and the beach.